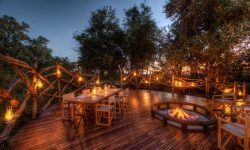 For the classic African safari experience, look no further than Camp Moremi in Botswana’s world-renowned Moremi Game Reserve. 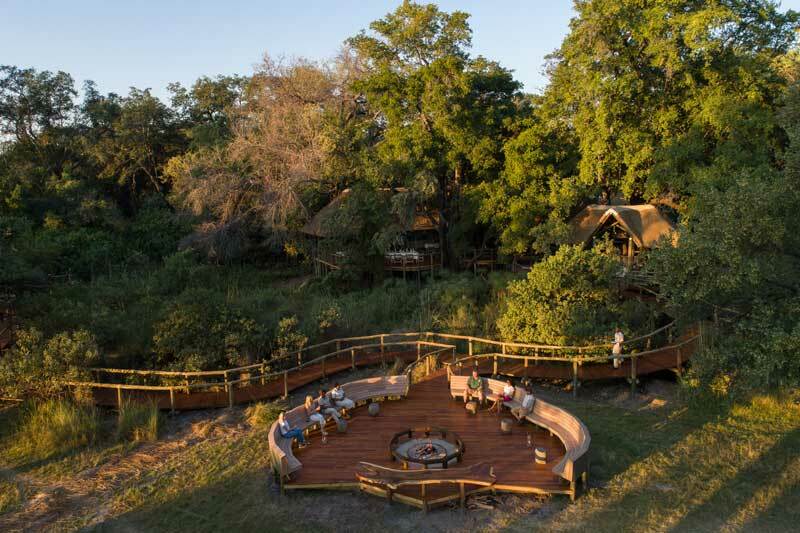 Camp Moremi is situated on the edge of the Xakanaxa Lagoon in an area well known for its spectacular game-viewing opportunities. 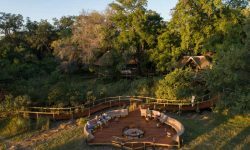 Camp Moremi offers of 11 tents, and 1 family room with an En-suite bathroom comprising of a shower, vanity and toilet, and second bathroom with shower, vanity and toilet. 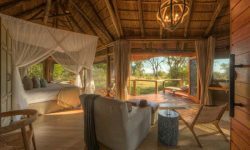 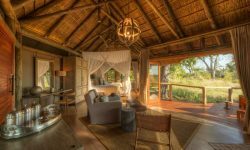 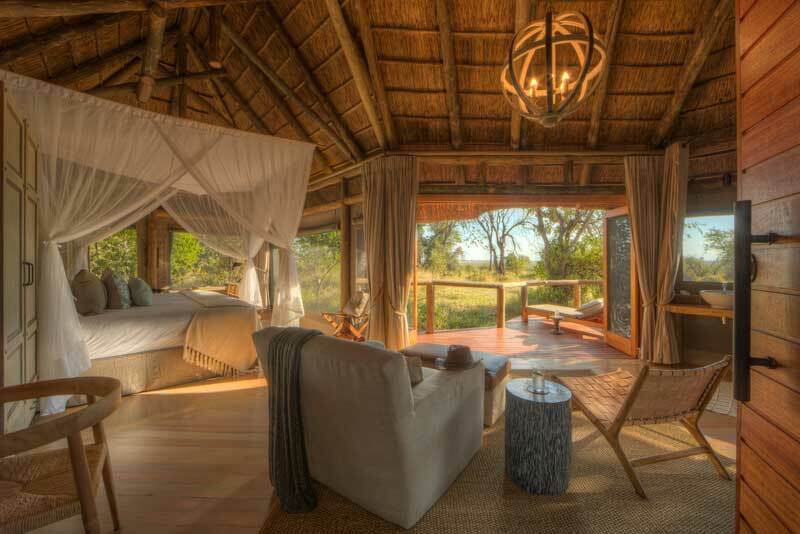 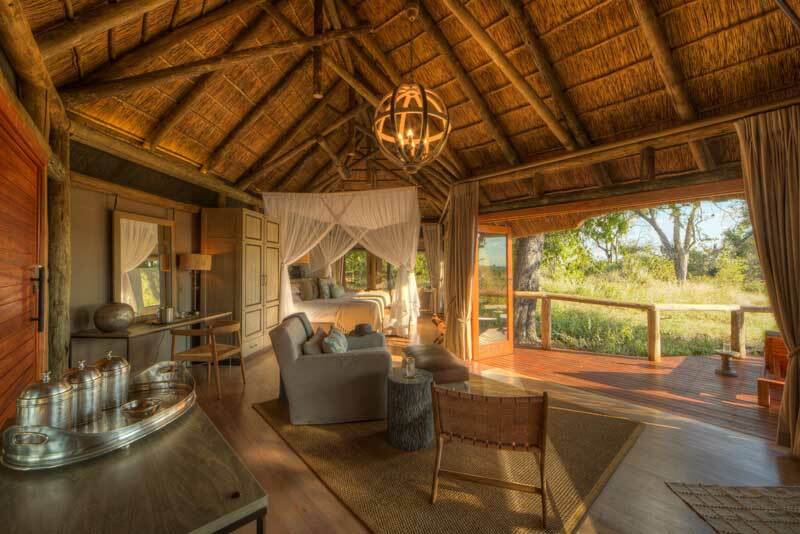 Guests enjoy the luxurious seclusion of East African-style safari tents, which are set on a raised teak deck, each featuring an en suite bathroom. 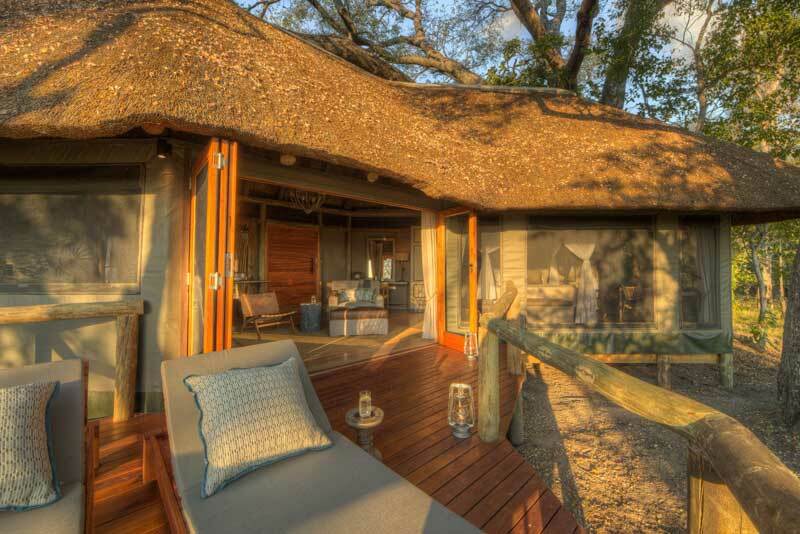 The Camp accommodates 24 guests and ensures exclusivity and privacy in a tranquil environment. 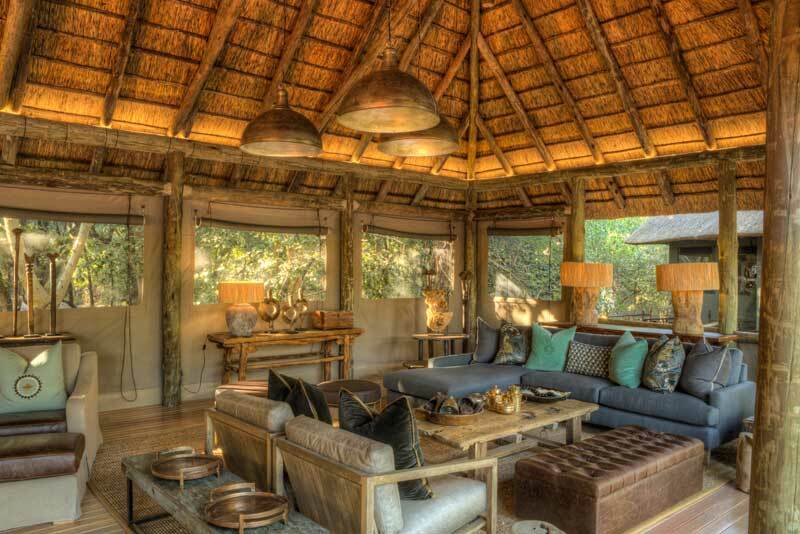 Two dining areas serve buffet-style food; special dietary needs are catered for by prior arrangement. 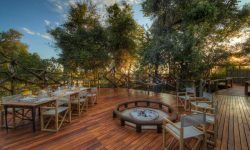 Breakfast, brunch and high tea are served in the thatched boma; dinner is savoured under an ebony canopy in the dining room and nightcaps are enjoyed beside the warmth of the glowing fire pit. 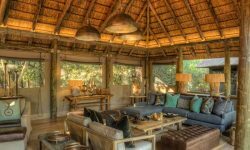 Guests can also relax by the secluded swimming pool, marvel at spectacular sunsets from the lagoon-side viewing deck, or enjoy the wildlife reference library, lounge and cocktail bar in the elevated thatch and timber main building. 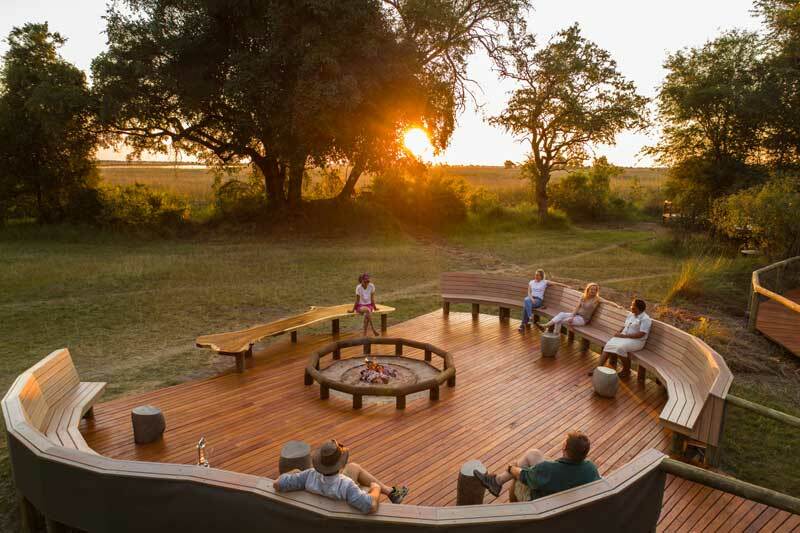 Guest activities include morning and afternoon game drives throughout the many different ecosystems that the Moremi Game Reserve has to offer. 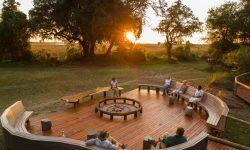 Guests can also explore the Xakanaxa Lagoon and its surrounding channels by boat for a chance to enjoy the picturesque waters of the Okavango Delta, with its kaleidoscope of birdlife. 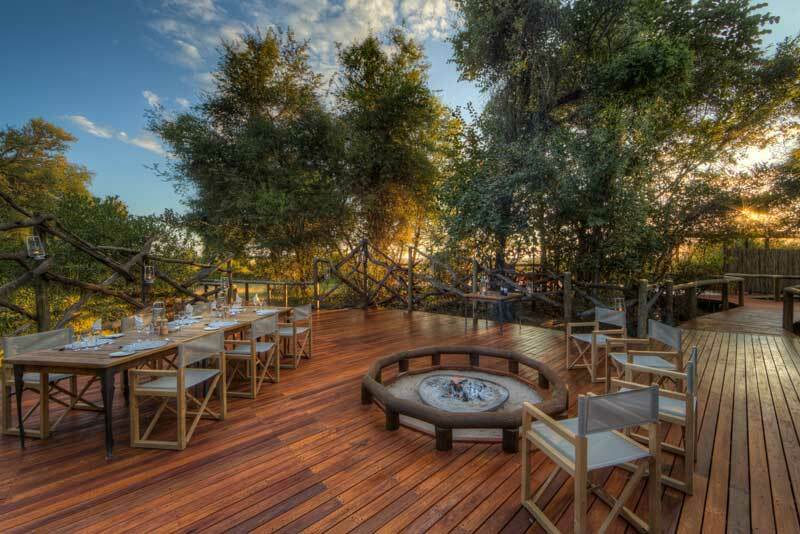 Moremi Game Reserve’s incredible wetlands support a vast number of antelope, including Impala, Kudu and Waterbuck. 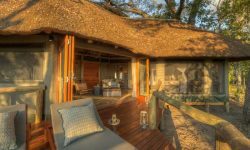 The majestic Fish Eagle and vivid Malachite Kingfisher are frequently seen and even the rare Pel’s Fishing Owl makes an occasional appearance, to the delight of guides and guests alike. 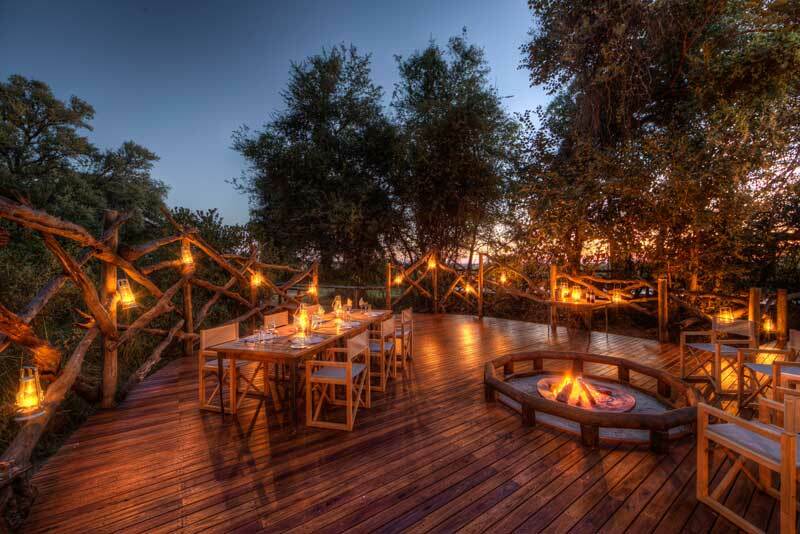 Children over 6 years are welcome.